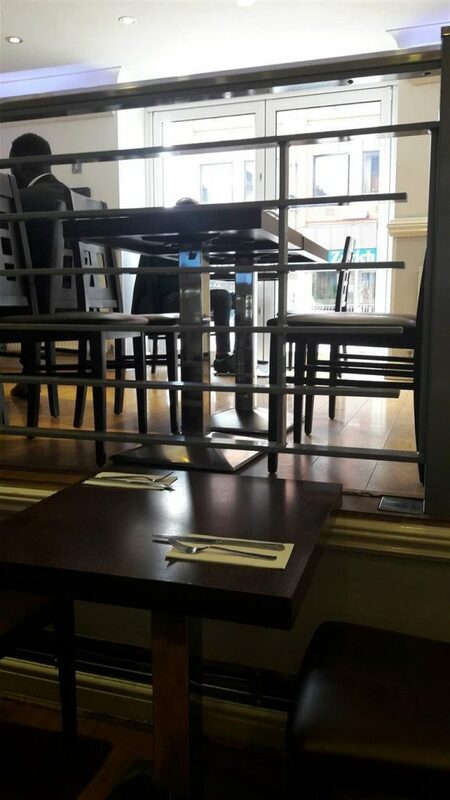 The eatery is over two levels and the dining area is of a medium size. There are lots of items on the menu; too many delicious sounding ones. There are chaats, sizzlers, Manchurian, dhosas and curries all on offer. 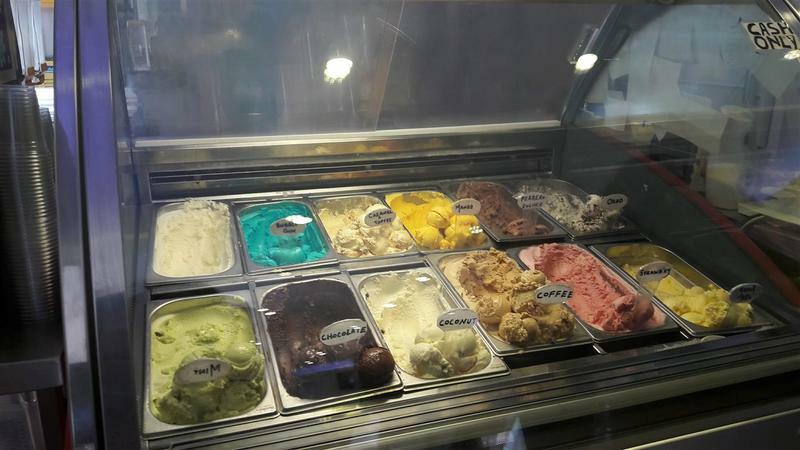 There is an ice cream counter at the till area. Food to take away is also available. Staff take orders on iPads. 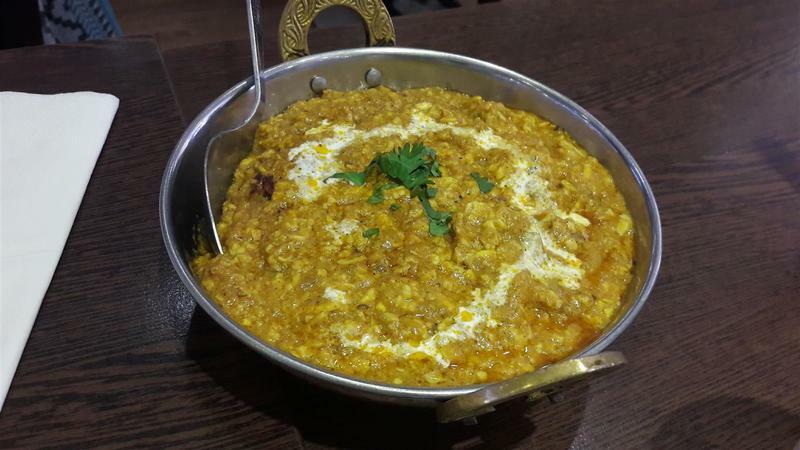 They have a good knowledge of the food that they offer and are happy to answer any queries and to give recommendations. Service is fast and the staff are attentive. 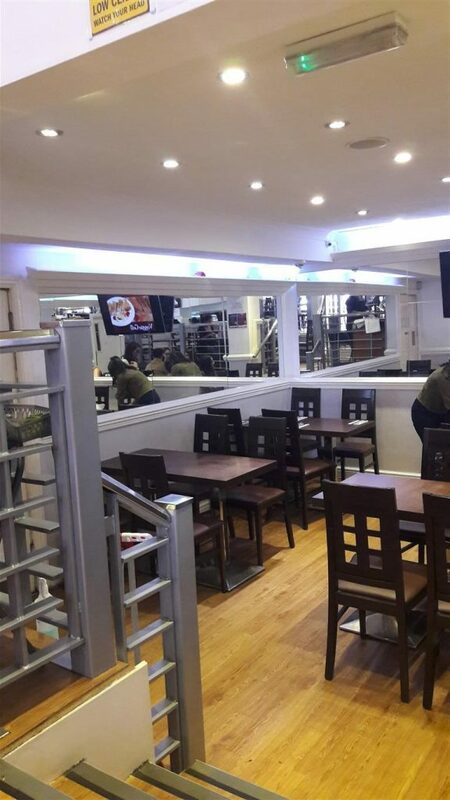 There is a quick turnaround of the diners. Saying that though, the staff don’t rush you so that you can take your time dining. They have the balance right. Tables are cleared up and cleaned as soon as the customers leave. 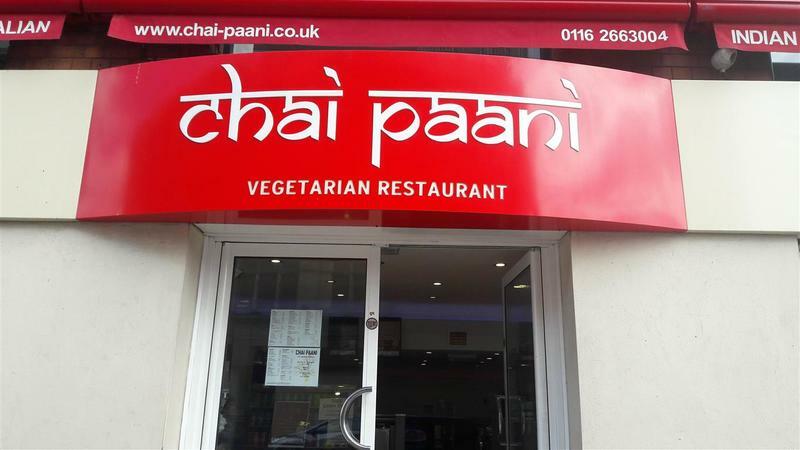 The food at Chai Paani is hearty and tasty. All of the items are cooked fresh. 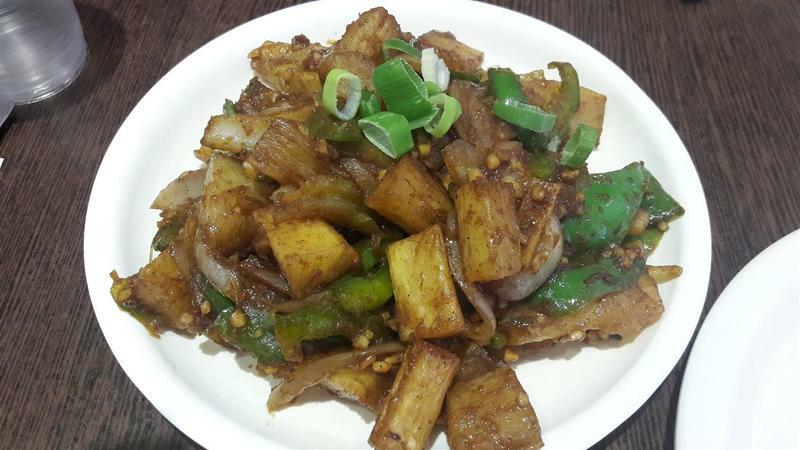 The Chinese Chilli Mogo was chunks of mogo teamed with sliced green peppers, onions and spring onions. The chilli based sauce was spicy but not too strong which allowed the flavours of the vegetables to come through. 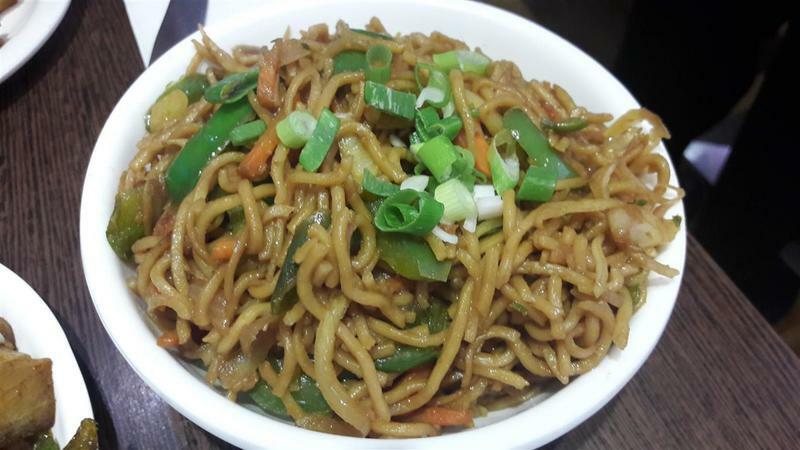 A steaming bowl of Veg Hakka Noodles was very moreish and contained lots of sliced vegetables. The noodles were not overly coated in the sauce that it has been cooked in. A spicier dish was the Chilli Paneer Dhosa. Paneer cubes, peppers and onions in a tomato sauce were encased in the dhosa. 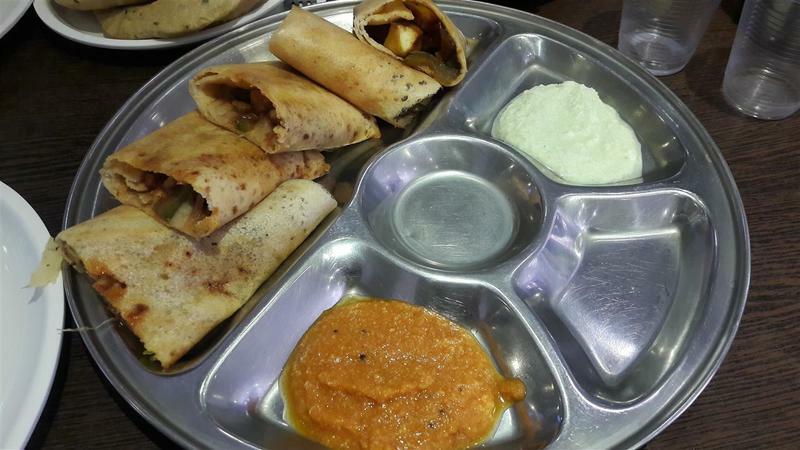 The dhosa was cut up into pieces making it easier to eat. It came on a sectioned metal plate with two chutneys. A favourite was the creamy Paneer Bhurji. It was like minced up paneer in a mild sauce. One not to miss if you come to Chai Paani is the Bhatura. This was ordered by us after seeing one of the other diners having it with the chana curry. 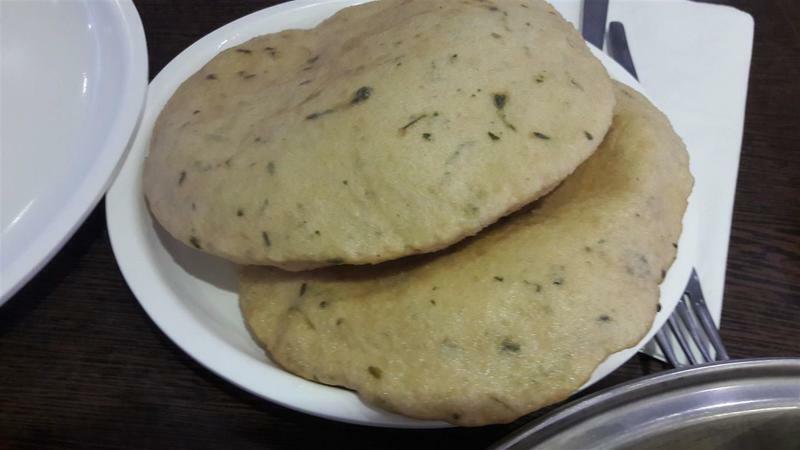 Fluffy, hot and freshly made bhatura was perfect to have with the Paneer Bhurji. 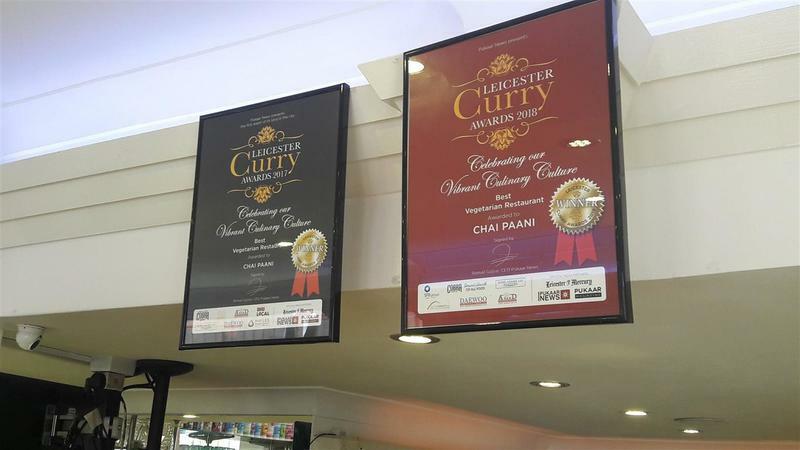 Chai Paani has been awarded the best vegetarian restaurant by the Leicester Curry Awards quite a few times.